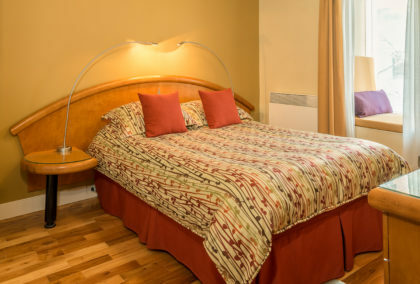 Our 7 economic rooms are mostly equipped with a double bed, some with a double bed and a single bed, or two single beds. Each room has a private bathroom with a shower. Small and comfortable, they offer exceptional value for the price. 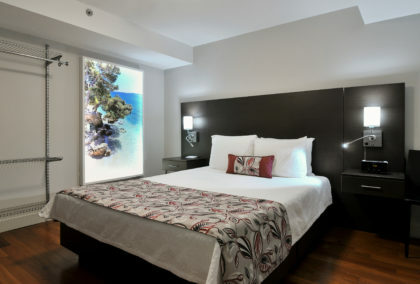 With a contemporary look, it can accommodate up to 2 persons and has the necessary amenities to make your stay enjoyable. Featuring a sleek design, it can accommodate up to 3 persons. 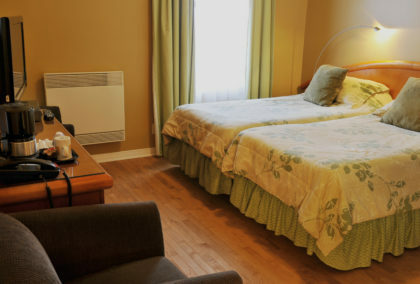 It has the necessary amenities to make your stay enjoyable. This economic room is located on the 3rd floor at the back with a view on our parking lot. 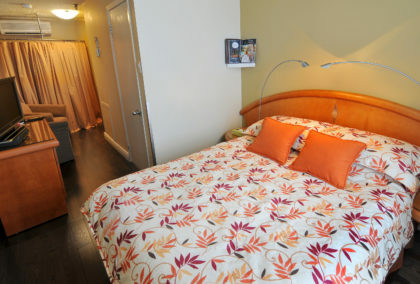 It offers cozy comfort and tranquility for those who have fragile sleep. 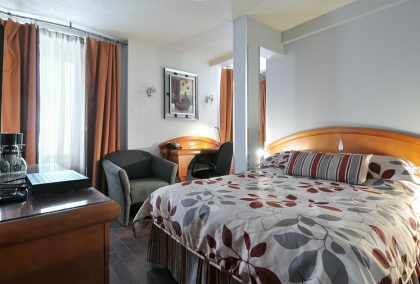 This economic room is located on the 3rd floor with a street view on the blvd de Maisonneuve. 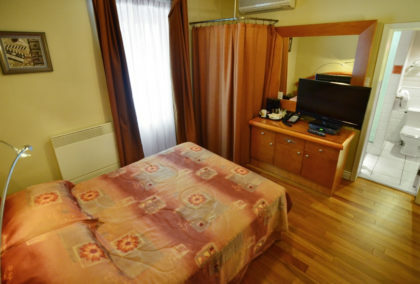 Small and functional, it has amenities to make your stay enjoyable. 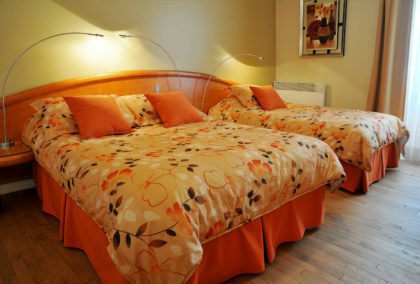 It can accommodate up to 2 persons and represents a very good value for money.